Dashboard into Tiger. 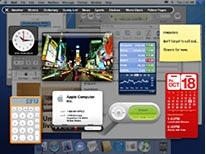 MacCentral/MacWorld article. Messenger are everywhere, but people still hold on to ICQ, Yahoo and others. 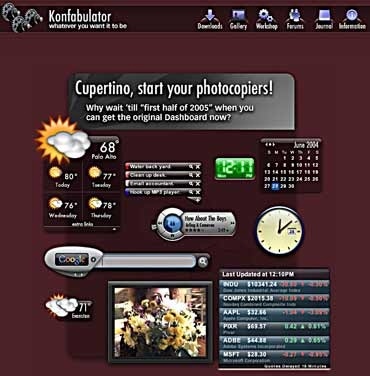 Konfabulator was a unique first-off app that really maximized the possibilities. time rob developers of their child, income and future. Konfabulator can code away before 10.4 is released in 6-9-12 months from now. a look at: John Gruber’s Daring Fireball.